Last Minute To Jaffna was born in Torino Italy in the mid 2000s. 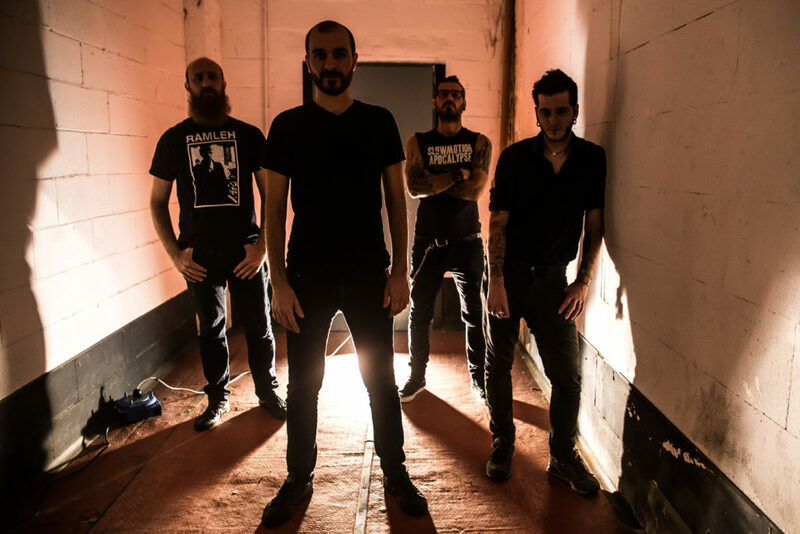 Torino is famous for being Italy’s darkest and most esoteric city, and the band’s heavy and atmospheric music has certainly been influenced by that. They self released an ep (2006) which let them get known in Italy allowing them to tour in their country and abroad. With their 2008 debut album Volume I they marked a better refinement of their own music style, and began to tour intensively throughout Europe. They opened for Isis at Torino’s main independent festival and got noticed by canadian label Abridged Pause which included their track Chapter XII in its Diluvian Temperals sampler. 2011 marked an important step in the band’s history: after playing an unplugged gig opening for Neurosis’ Scott Kelly they decided to record some old tracks and some new ones with acoustic guitars, clean voices and other odd instruments, helped by Fabrizio Modonese Palumbo (Larsen, (r), Almagest!, Blind Cave Salamander). The result was Volume III, which finally came to light in 2014. One year later they released Volume II, second studio album, showing a mature band, able to craft a really personal blend of heavy and atmospheric post-metal sonorities. On November 24th 2017 Last Minute To Jaffna is releasing Quattro, a two tracks ep which is marking a further evolution in their sound.